Quite possibly the most aesthetically-pleasing thematic cover-song compilation ever-how can you beat The Resident's covering Fiddler On the Roof's 'Matchmaker'? Or Eugene Chadbourne's schizo-folk version of 'Miracle of Miracles'? You can't. 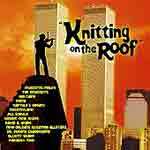 Other adaptations of Fiddler On the Roof tunes are the ultra-serious cover of 'If I Were A Rich Man' by Magnetic Fields, a chopped-up version of 'Tevye's Dream' by Negativeland, Jill Sobule's beautiful rendition of 'Sunrise, Sunset'. You get the picture of just how great this thing is.